Innoval’s successful collaboration with Hunan Suntown Technology Group Co. Ltd (SNTO) reached its 5 year milestone in 2018. The company has grown significantly over recent years to become one of the biggest foil manufacturers in the world. We have supported them along this path through mentoring, training and problem solving. SNTO is located in Changsha, China, in the heart of Hunan province. 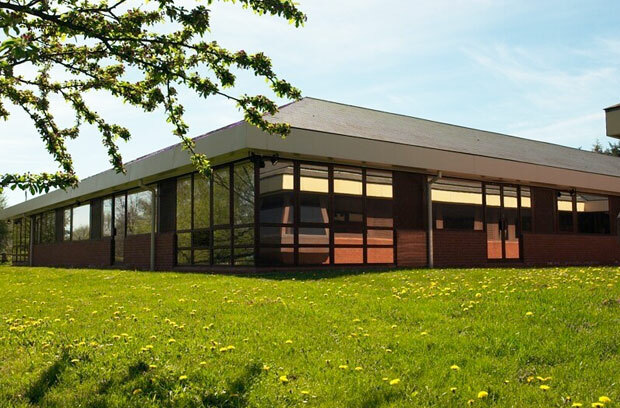 Their large facility produces a huge range of quality products from cast billet through to sheet, extrusions and foil. They even manufacture their own trucks and tankers! SNTO has achieved significant quality milestones in the manufacture of thin aseptic foil, and it’s this product that we’ve been focussed on recently. 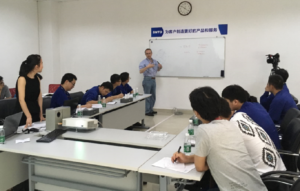 Vicente Martin and Dan Miller held two bespoke training courses on Roll Grinding and Foil Rolling Technology at SNTO. The team at SNTO wanted to develop a deep understanding of the underlying physics behind their key rolling processes. This would allow them to optimise the operation of their existing and new rolling mills. Vicente Martin gave a session from Innoval’s Roll Grinding Course. In it he introduced the technology of roll grinding and the interactions of the ground roll surface and the aluminium in the roll gap. He explained how understanding these key topics contributes to maximum productivity of the mills and an optimised product surface. Both Vicente and Dan presented modules from Innoval’s Foil Rolling Course. During these sessions there were extensive discussions about flatness and gauge control, lubrication, surface and foil manufacturing. Innoval consultants do not provide us with a recipe to follow. Instead, they give us a deep understanding of why things happen in a particular way. This gives our engineers and operators the background to solve our daily problems by themselves once Innoval leaves.